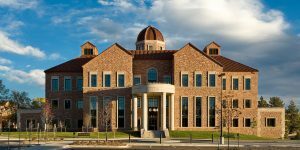 The CU Executive MBA is a flexible, rigorous program designed to be completed in less than two years while still working full-time. Over the course of two nine-month academic calendars that begin each September, classes meet every other weekend on both Friday and Saturday. Each class day is broken into a morning and afternoon session of three-and-a-half hours each, with a break for lunch. The CU EMBA class profile showcases the professional experience of the EMBA student–the average age at the time of matriculation is 39, and students have an average of 18 years of work experience, 14 of those in management roles. The class hovers at around 28 students, creating an intimate working environment in which students can network and thrive. For the Leeds Executive EMBA, tuition is billed in eight separate installments of $10,250, totaling $82,000 for the entirety of the program. The Executive MBA program employs a rolling application deadline, though candidates are encouraged to apply as early as possible.